Researchers have detected the smallest force ever recorded – 42 yoctonewtons – using a system of super-cooled atoms. The Newton, named after sir Isaac Newton, is the international unit of measure for force. 1 Newton is equal to 1 kilogram times 1 meter over 1 second square (1N = 1 kg * 1 m / s^2). A yoctonewton is one septillionth of a newton – or in other words, 0.000000000000000000000001 newtons. Scientists working at the Lawrence Berkeley National Laboratory (Berkeley Lab) and the University of California (UC) Berkeley used a system of lasers and a cloud of ultracold atoms to measure the force. This is not just a significant breakthrough in itself, but it could have significant results in the future. 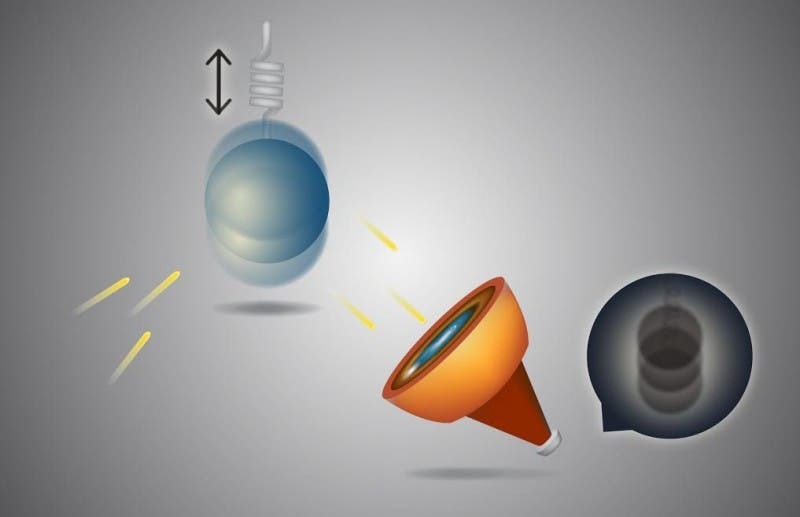 As scientists study (directly or indirectly) more and more tiny things, more accurate ways of detecting forces and interactions are necessary. For example, at the Laser Interferometer Gravitational-Wave Observatory (LIGO), scientists are attempting to record motions as small as one thousandth the diameter of a proton. However, there’s a big problem with measuring tiny things. As you get to smaller and smaller scales, quantum effects start to kick in – and they can really mess things up. According to the Heisenberg uncertainty principle, you change the outcome of a value if you measure it – yes, that’s how quantum mechanic works sometimes. As these measurements of force are done with mechanical oscillators, when you get to the quantum scale, the measurement itself affects the osscilator. This barrier is called the Standard Quantum Limit (SQL). In the past couple of decades, scientists have come up with a myriad of creative (yet imperfect) ways of working around the SQL. However, none of them came even close, failing by over 6 orders of magnitude! Until now, that is. In their experiments, they set up two equal and opposite optical fields and applied them onto a gas of rubidium atoms optically trapped and chilled to nearly absolute zero. The response is measured using a probe beam with a wavelength of 780 nanometers. He believes that they can go even closer to the SQL, though not much closer.